Archaeology as a discipline has had diverse beginnings and traditions, depending on where it developed and where it is currently practiced on the planet. For example, European archaeology is often (inextricably) entangled with History, Art History, or Classics, while what is called New World archaeology has traditionally been more affiliated with (social, biological, or other types of) anthropology. The demographics and motives of adults involved in archaeology, either professionally or not, are also different, depending on the era and area. As a consequence, the relationship between adult education and archaeology is varied in different parts of the world, but, I would argue, is seemingly consistent with local preoccupations about heritage and the pasts that archaeology can help illuminate and reconstruct. It is therefore important to look into the relationship between adult education and archaeology, in order not only to understand more broadly the different motivations and pathways of people into archaeological practices and matters but also to consider how the relationship of such people with the past is shaped. What is adult education, what is archaeology, and what is adult education in archaeology? For the purposes of this chapter, I take adult education (often interchangeably called Continuing Education or Lifelong Learning, even though they are not the same) to mean training and participation to educational activities by adults who are not (initially or even ultimately) pursuing a professional career in preestablished ways, such as doing a full-time BA. In other words, I take adult education to mean a part-time, ad hoc, nonconventional educational way in which an adult might pursue further knowledge on a specific subject. Such educational provision might be provided by a university, a local authority (e.g., a city council, a museum), a local society, a project, or an interest group. It may range from formalized lessons and assessment, which award certification points or paperwork of some sort, to regular public talks, project outreach (e.g., excavation tours), museum volunteering, etc. Adult education usually covers subjects not taught in school education or school subjects which adult education students did not have the opportunity to study at school initially (due to, e.g., age, academic or vocational orientation, family history, etc.). I take archaeology to mean both the practice and the subject matter of investigating a past milieu through its material remains, whether this is recent (e.g., World War II archaeology) or chronologically remote (e.g., the Paleolithic). Official practitioners of archaeology are certified as professionals by authoritative bodies, such as university departments or local archaeological services. It is usually they who need to authorize and regulate volunteering in archaeological activities, such as excavations or museum studies, as well as teach archaeological topics in adult education. Adult education in archaeology, therefore, can be taken to mean here the relationship between usually non-professional education on the one hand and archaeological topics and practice on the other. Consequently, this paper will look at what forms this relationship might take, whether it is reciprocal, what issues it raises, as well as what directions it may assume in the future. Archaeology as a pursuit, first amateur, then progressively professional, began as the preserve of affluent social classes, especially men. Figures such as Heinrich Schliemann (1822–1890), for instance, exemplify the white affluent male, who, either through inherited or (in his case) acquired wealth, could afford not only the time but also the expense to travel, explore, excavate, and pay for wages and supplies, in order to produce a result with dubious financial but phenomenal publicity returns. This pursuit contributed instead more broadly to the humanistic backlash against the industrial dehumanization of the nineteenth and twentieth centuries CE. Archaeology, like art history, classics, anthropology and other humanities, sought to understand the past through a raft of techniques beyond and in addition to literary analysis, with the ultimate aim of making sense of people in the here and now (in the nineteenth and twentieth centuries) and of imbuing public life with ideas and aspirations about the past, its educational qualities, its nationalist, and even escapist and moralistic qualities (cf. Speight 2011). By the end of the nineteenth and the beginning of the twentieth century, adult education was making its appearance in earnest. There were several drivers behind the development of this alternative to the traditional, and often elitist, types of education, especially for subjects taught after school (and usually confined to university undergraduates). One reason was the concept of adult education as a social service to educationally disenfranchised people, e.g., workers, who were seen as both audiences willing to advance their educational background but also as a workforce to be invested in through non-conventional training (whether vocational or not; see, for example, the Workers’ Educational Association in the UK, founded in 1903). Another social reason was the wider role that e.g. universities saw themselves as playing in the local communities: Adult education may have represented additional revenue for such institutions, but it also enhanced their reputation as social actors in a world where class boundaries were not as rigid as they had been in previous eras, especially when one takes into consideration the social upheavals afforded by the two World Wars (to variable effect, depending on the country). The fusion of adult education and archaeology occurred for a number of reasons at the end of the nineteenth and especially the beginning of the twentieth century (see, e.g., Speight 2003). This also goes some way towards explaining the choices of today’s students in pursuing adult education archaeology. Some reasons for adult education in archaeology were, from a European perspective, the Enlightenment, the Romanticist and Classicist movements of the eighteenth and nineteenth centuries (cf. Speight 2011), as well as the growing varieties of nationalism, leading up to the early twentieth-century conflicts and beyond. Elite understandings of the past, partly due to antiquarianism but also due to the emerging discipline of archaeology, had seeped into the public domain. This contributed to a climate of public curiosity and excitement about the past which, through “the Grand Tour,” museum exhibitions, public lectures, the cinema, excavations, etc., could be more widely and readily accessed. It was therefore an almost natural leap for interested people to want to educate themselves, not just by visiting a museum but by also taking a course, studying how archaeology worked as a discipline, and assessing what it could reveal about past societies, and about students’ own ancestors in particular. Another, “New World,” reason for the uptake of such education was the sociopolitical circumstances of state formation in countries such as the USA and Australia. This created a wider public interest in anthropological and cultural evolution, often intertwined with claims of land or populace legitimization; but it also helped migrant (and eventually local) communities “connect” to what they perceived as their ancestors. After the two World Wars, education for archaeology as a discipline, although still the preserve of certifying institutions, became progressively more “democratized” (but less so than other nonhumanities disciplines, such as engineering). So, this incentive, to attend adult education archaeology due to the frequent inaccessibility of university education, was no longer the case. Other reasons persisted or even emerged, such as the movement of feminism and the “need” to find its historical/archaeological antecedents. Recent developments in museological and excavational outreach have also blurred the boundaries between adult education in archaeology and (since at least the 1970s) public archaeology, boundaries once better defined. So why have students continued to enroll to adult education archaeology courses, instead of, say, taking undergraduate university archaeology courses leading to professional certification? Time and expense are easy (and of course valid) answers. Instead, one way in which to answer this more fully is to look at the makeup of student cohorts and the reasons they give today (author’s personal experience). Most adult education archaeology students, whether of a working (evening courses) or retired (day-time courses) background, are of mature age, either living on independent means or day-time jobs or having retired from a profession which was not related to archaeology. Although they can vary widely, most engage in assessment because of a personal passion (which is also why they enroll) rather than an interest in accreditation leading to a professional qualification, which is often an option offered by the providing institution. For many people, enrollment on and study for a course in archaeology are a lifelong aspiration and the fulfillment of an unrequited parallel occupation with archaeology (i.e., as a recreational rather than a professional activity). Nevertheless, younger students and students systematically working towards accreditation do occur, although they are still the minority. For the non-accreditation students, the outcomes hoped for are varied. Some want to cultivate in themselves a better understanding of certain past societies/civilizations/circumstances (cf. Tennant 1998; Speight 2011: 154 calls it “enrichment learning”). Others want to (and do) volunteer in local communities and heritage activities (cf. discussion in Jack 1980), travel widely, and inform their own practice, if related (e.g., librarianism, museology, school teaching, etc.). A number of issues can be (and have been, to a certain extent) raised regarding adult education in archaeology. Firstly, because of the complex history of each of the constituent parts, as well as the nature of the fusion between adult education and archaeology, this type of archaeological education might suffer in terms of authority and legitimacy. If this is education which does not produce professionals and which is taught by staff who may or may not have (full or part time) academic positions, it is often the case that courses are considered more simplistic, easier, or inferior to their “certified” equivalents, officially or unofficially (cf. discussion in cf. Speight 2003: 162; also author’s personal experience); staff may also occasionally be discriminated against by tenured colleagues as a result. To use adult education archaeology as a way of sensitizing the public about the usefulness (and financial needs!) of archaeological investigation and as a way to redress the gap of staff unemployment, audience curiosities and aspirations, and outreach quota. This, in turn, raises the question of who is driving the adult education archaeology agenda. Currently, it is almost always a top-down process, primarily determined by staff and institutions (who offer courses), then by student demand (who take or do not take the courses on offer, and can, on occasion, suggest topics to staff, but normally do not organize their own). Ultimately, adult education in archaeology currently operates, as does much of the wider adult education sector in this author’s opinion, as an add-on to mainstream institutional provision and to students’ lives and careers, rather than as an essential type of training or set of skills needed in employment, cognitive development, and health or everyday activities. This is certainly not the design or intent of either the adult educational providers or the students who take the relevant courses. The source is likely to be found on an institutional, governmental, and museological level, as it is these actors who determine the societal and employability role of archaeology (cf. debate on instrumentalism in Hamilakis 2004), and therefore, in effect, regulate how the different pathways to archaeological knowledge are perceived, achieved, and (not) certified. The author has extensive knowledge and experience of the Higher Education and Adult (Continuing) Education sector in the UK, principally through archaeology, Classics and art history. The view from this position is situated within the wider milieu described above. However, it is also complemented by the particularities of the UK educational provision, such as university and local authority Continuing Education Departments, UK organizations creating or promoting accessible archaeological knowledge, as well as the UK governments’ changing attitude to archaeology specifically and to adult education more generally. 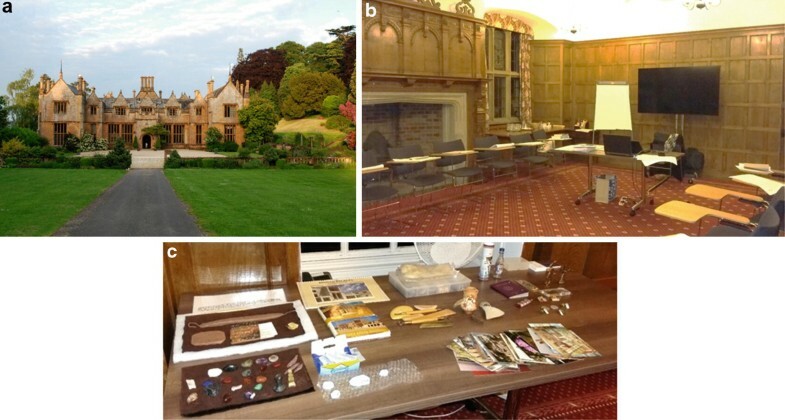 For example, universities with substantial reputation in (traditional) archaeological training and practice, such as Oxford, Cambridge, and UCL, also, unsurprisingly, offer well-attended adult education archaeology, which recruits well and offers topics of both local and international archaeology. Local authorities and archaeological societies may offer a comparably wide range of topics, but students who attend these are more likely to enroll on courses which investigate their local archaeology (e.g., Roman Britain; cf. discussion on regionalism in Speight 2003: 154) rather than a completely new or geographically remote archaeology (e.g., Minoan Crete), although there are, of course, exceptions. There is also variation in the organizational and financial aspect of adult education in archaeology. Larger, longer established, and well-funded education providers, such as universities, attract students not only because of the range of archaeological topics they make available but also because of their reputation (both as institutions and as staff), online provision (e.g., distance learning), location, and other attractive additions to their “package” (Fig. 1; e.g., the opportunity to spend time exploring the institution and surroundings during a weekend course or summer school; cf. Speight 2003 for a thorough, contextual overview of the UK residential sector). In addition, they operate on an economies-of-scale model. In other words, the overall revenue of a university Continuing Education department makes it possible to be flexible regarding recruitment numbers, which can vary substantially between courses. So, for example, the lowest viable number of students for an adult education course in archaeology to run at a university setting is 6, bearing in mind that there may be several other courses which recruit in the region of 20–25 students, and therefore even out the projected earnings of the department, the latter managed by professional academic staff. In addition, in these cases the premises need to be booked but not hired (i.e. paid for separately) and there is administrative and library support. The same is not the case for a course organized by proactive volunteers on the level of a local archaeological society, museum, or interest group. They have to manage all the administrative, financial, booking, and other practicalities on an ad hoc basis, hire venues at additional cost and effort, liaise with the teaching staff, sort out taxes etc. So, for these courses, which do not come under a larger university or departmental umbrella, a viable minimum number of students is about three times more, in the region of 18–20 at least, which, in turn, limits the range of courses on offer, and therefore, eliminates “tasters” of initially less popular but probably just as interesting and inspiring archaeological subjects. One additional point should be made here regarding the financing of adult education in archaeology. Up until 2006, the UK government offered part-sponsorship of adult education / lifelong learning courses in general. This was done for various reasons. One of these was to help more people access educational provision and gain a variety of skills (academic, vocational, personal, social, etc.). Another reason, bearing in mind that many, if not the majority, of adult education students were and are pensioners, was to help elderly people keep an active mind as a strategy towards social interaction and as a prevention of conditions such as dementia (cf. Kingston 2006). In 2006, the UK found it appropriate to radically restructure such funding. This had a profound and immediate effect. Firstly, it led to a sharp drop in the number of students who could afford to pay for courses and to the axing of many courses which either the providing organizations or the enrolling students did not feel were a priority, now that there was more competition for money. Secondly, the change directly affected archaeological provision, such as in the case of the University of Bristol, which had to close down its archaeological programs for the wider public (these, up until then, were prominent in the local community). Thirdly, as a knock-on effect, departments as a whole found it difficult to continue not only with the breadth of courses that they once offered, but to continue at all. The Continuing Education Department of the University of Reading was one such fatality, and so the local adult education provision was eventually taken over by the Department for Continuing Education of Oxford University, which hired the spaces on Reading University’s campus in order to run its courses. Archaeology, as part of this sector, felt these repercussions more acutely, as students now had to prioritize their sponsorship in a way that had more to do with instrumental gains (e.g., learning mainstream foreign languages) rather than non-practiced personal fulfillment (e.g., broadening their historical-archaeological knowledge). In effect, archaeology and its adult education provision almost reverted to the nineteenth century paradigm of an affluent, elitist pursuit. The future of adult education in archaeology may be bright or bleak based on a number of factors. It could be bleak if funding for it and archaeology as a discipline continues to shrink. There is only so much effort and cost that educational organizations, societies, and individuals can invest in something which is considered as a luxury or add-on by some of the same organizations and the governments they operate under and are (not) sponsored by. It can also be bleak if the rift in archaeology itself widens further, with the “hard-science” branch, already largely inaccessible by nonprofessionals, providing exclusive training to practitioners, and the “soft-science” part catering for more philosophical (and increasingly more detached from fieldwork) aspects of archaeology. Thirdly, it can be bleak depending on the demographics of the adult education archaeology students of the future. If in 20–30 years’ time the cohorts continue to be made up of mature students, it is doubtful to what extent the social, professional, and personal interests of today’s youth would be translated into fees paid, in their maturity, into archaeological knowledge for the wider public; or even if the nature of education sought would be the same. Conversely, if the demographic age of such students decreases, i.e., is brought down to working ages for a larger proportion of the students, it is likely that these people would be more interested in being instrumental by acquiring transferrable, practical, archaeological skills, rather than pursuing a more rounded, less quantifiable education. This, in turn, would kill off part of the discipline and theory of archaeology. Conversely, the future of adult education in archaeology may be bright. At a time of great turmoil, migration, culture clashes, conflicting accounts of the present and the past, as well as a number of crises, students, and indeed adult educators, (should) seek to educate themselves regarding how past populations dealt with some challenges, in the hope of understanding their own positions and options in the here and now (cf. discussion in Guy 1999 about the cultural relevance of adult education; and in Colley 2005, esp. 62, and Simandiraki-Grimshaw 2017 about the current public relevance of archaeological education in the USA, Australia and Greece respectively). Another reason why organizations, associations, local authorities, and interest groups persist in pursuing archaeological knowledge, despite the effort and cost (and often travel) involved, is cultural capital. Understanding past civilizations, learning to be analytical and critical of sources, relics, and situations, and synthesizing narratives based on a variety of data (excavational, epigraphic, osteological, art historical, chemical, etc. ), as well as understanding how local and global identities were and are constructed, should be seen as skills that current societies need (e.g., Tennant 1998). They should not be seen as luxuries or optional add-ons left to the discretion of organizations, adult education staff, or interested individuals. They ought to be funded, promoted, and supported through infrastructure, public debates and legislation. It is this author’s wish and hope, therefore, that this will have been achieved by the next generation of adult education staff and students of archaeology. The author would like to thank Prof. C. Smith, as well as the anonymous peer reviewer(s) for their valuable help. She would also like to thank all students and educational colleagues who provided the experience and inspiration for the contents of this paper. Kingston, P. 2006. Adult education cuts are not a healthy option: a dramatic fall in learning among older people can only exacerbate the problems of age. The Guardian, 2 May 2006. https://www.theguardian.com/education/2006/may/02/furthereducation.longtermcare. Accessed 12 Nov 2018.